The 2015 USRowing Club National Championships will be held July 15-19, 2015, on Harsha Lake in East Fork State Park. 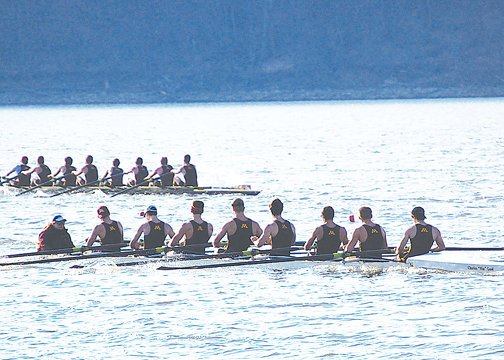 Clermont County Commissioners and the Clermont County Convention and Visitors Bureau have announced that the 2015 USRowing Club National Championships will be held July 15-19, 2015, on Harsha Lake in East Fork State Park. The race will be hosted by Clermont Crew, in partnership with USRowing. The Club Nationals has become one of the largest summer regattas nationwide, featuring five full days of racing and more than 1,500 crews from youth, collegiate, and adult teams nationwide. The venue is no stranger to major national championship regattas. Harsha Lake was the home of the USRowing Youth National Championships from 1995-2010, hosted the National Collegiate Rowing Championships from 1983 -1996, and was for many years the home of the Midwest Scholastic Rowing Championships. Harsha Lake is owned by the US Army Corps of Engineers and leased to the Ohio Department of Natural Resources, which operates East Fork State Park. Beyond hosting collegiate dual racing already this spring, the venue will host UC’s Cincinnati Regatta, the Cincinnati High School Invitational, and the Midwest Junior Rowing Championships. The course will also host the Head of the Hidden Dragon head race in the fall. David Uible, County Commissioner, noted that winning the race was a strong team effort. An estimated 1,800 athletes will participate in the summertime event. Visiting families, friends, coaches, and spectators will generate a total attendance exceeding 5,000 visitors. Hotel room nights, retail and restaurant spending, anticipated discretionary purchases, and event vendor relationships will benefit both local businesses and public revenues. Enhanced lodging, sales, and gasoline tax receipts will supplement and support local and state government services that benefit local citizens. Commissioner Uible noted that competing for the race was part of a broader effort to fundamentally improve the watersports facilities at East Fork. Next story Clermont County CVB reports record 2015!